Motivation, Energy And Mood Enhancement! Non-Habit Forming With No Crash! Jitter-Free While Also Inhibiting Activity In The Brain That Is Involved In The Feeling Of Fatigue! TEACRINE: Imagine an ingredient that delivers unrelenting energy, pinpoint focus, no crash, that’s non-habit forming and is long lasting. Does this catch your attention? Well, it sure has captured the attention of the fitness community by storm and this isn’t something that is too good to be true. It’s TeaCrine. 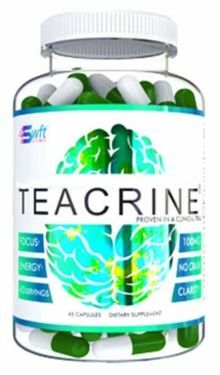 TeaCrine is a patent-pending compound that works by boosting dopamine activity involved in reward-motivation. When you use TeaCrine, this activity boosts mood and energy that is crash and jitter free. TeaCrine also inhibits activity in the brain that is involved in the feeling of fatigue and lasts throughout the day giving you sustained motivation and energy to perform at your peak. TeaCrine works symbiotically with Caffeine as well for an added energy boost! With TeaCrine you don’t need to worry about it losing potency as you continue to use it like many other compounds. Each dose is at strong as the one before it. 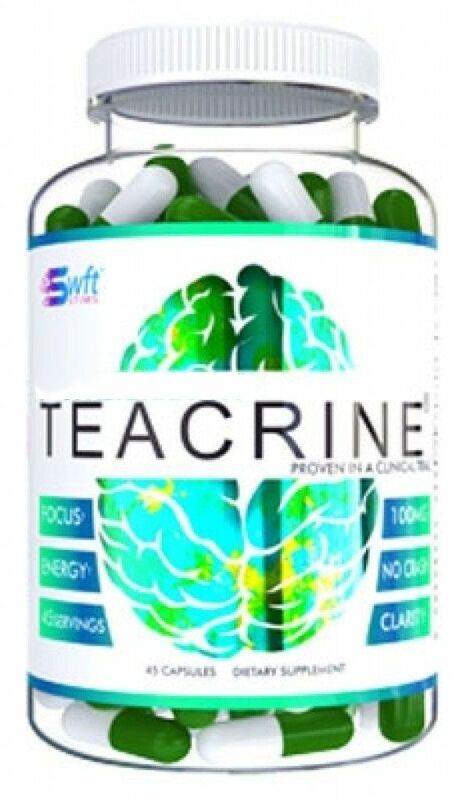 TeaCrine also does not cause jitters or a crash and is long lasting providing you a steady stream of focus and productivity throughout your day. TeaCrine is actually not a stimulant because it does not increase heartrate or blood pressure. It has been self-affirmed GRAS (generally recognized as safe) and holds Informed-Choice and Informed-Sport Certificates. Every batch of SWFT Stims is lab tested and manufactured in a FDA registered, GMP manufacturing facility located right here in the United States. SWFT Stims, quality you can trust.